Spitchcock is one of the most popular Japanese foods. It’s grilled and put mop sauce. The recipe of the sauce is secret and varies by the restaurant, but generally, the taste is salty-sweet. Put Japanese pepper on it accoding to your taste. Usually, a bowl of clean soup which uses a liver of an eel is served together. 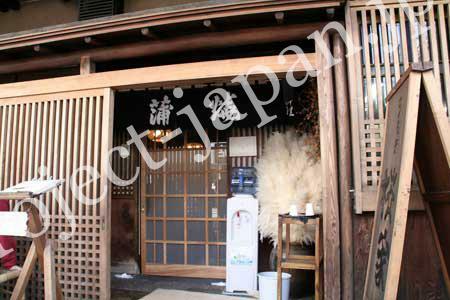 This unagi restaurant started in 1856, it has been in business for over 150 years. The other style is “Unadon”. The ingredients are same but the serving dish is different. Unadon is served in a bowl which is called “donburi”. The difference between the juubako and donburi style is that we hold a donburi in our hands when eating, but leave a juubako on the table. 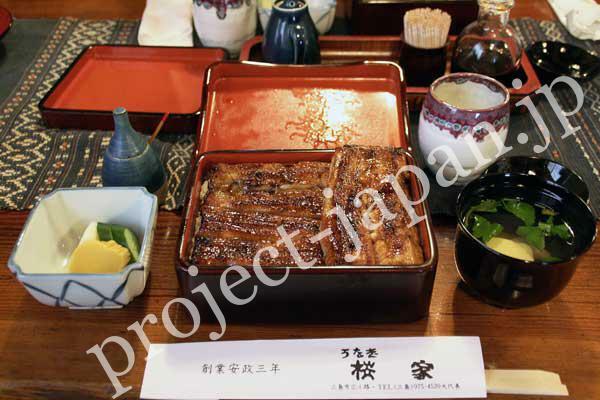 Eel is rich in protein, easy to digest, and so important part of the Japanese foods that there have been many special restaurants.